The Company Quality is an investment of energies and resources. 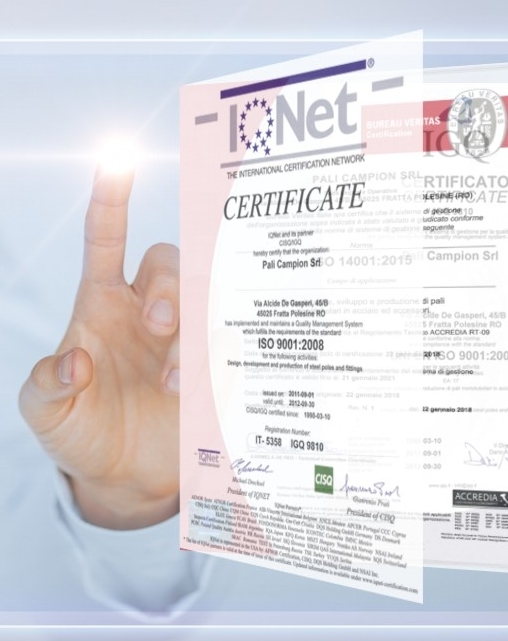 The quality certification isn’t an end but a starting point. This is the philosophy which entertains the company and push daily to renew the engagement to offer always excellent quality products, and to pay attention to the needs and expectations of a market which is more and more strict and selective. To find best and innovating solutions to make the offered quality standard always better, having as first aim the customer’s satisfaction to be pursued every time. Our customers recognized as our strength point , quality of products, flexibility on production and the reliability on the relationship. The firm, endowed with great flexibility and competence, founds its success on the high quality standard which characterize all the phases of the whole operative process; from the design up to the after sale assistance, in order to offer to the customers excellent and high quality products and services every time. 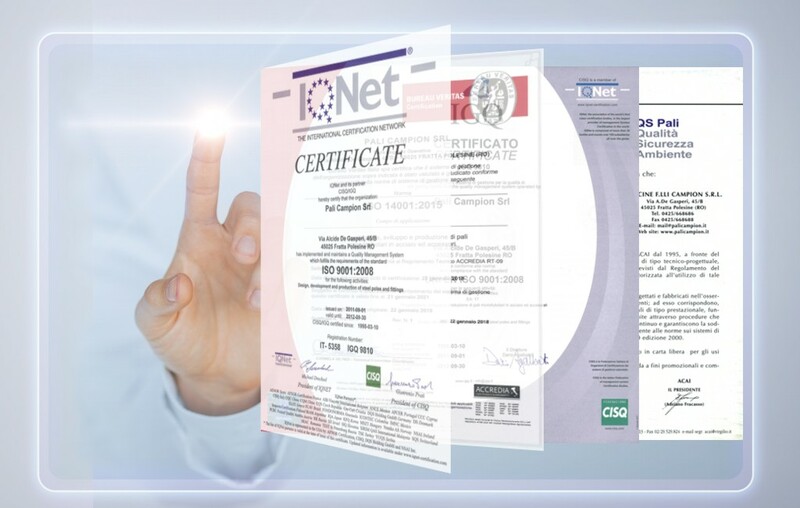 The obtained certifications confirm that the that the activated programs and undertaken actions in order to reach the certification were correct and they lead the company to work with quality levels internationally recognised, The six-monthly inspections, furthermore, verify the respect of the high quality standard of the products and services offered, and the preservation of the undertaken engagement.